Remi Jarmaine Ferris, was born with fire in his veins. A passion to succeed. His goal was to be a pro basketball player, just like the teams he'd watch on his old TV. His mother, wasn't ever around. As the oldest of 3 boys. Remi was looked up to as their father figure almost. 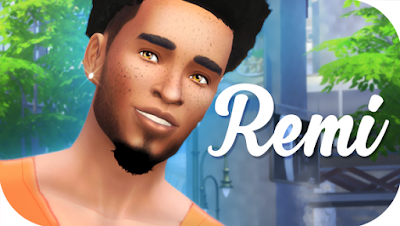 Seeking structure, Remi joined his HIGHSCHOOL Basketball team where he met, Pace Foreman. The two bonded, almost instantly and like brothers. Remi was always envious of Pace, not intentionally. He just felt as if Pace had everything handed to him easily and didn't appreciate it. Even when it came down to his family. Although talented, Remi often found himself in the shadows of his best friend. While Pace was receiving scholarship offers. Remi got passed up. This hurt him deeply because he felt he was as good if not better than his best friend. When Remi got wind that Pace turned down one of the best Scholarship offers, he became furious. The two feuded pretty heavy and insults were exchanged. They haven't spoken since. Since their 10-year high school reunion is coming up, Remi has considered reaching out, should he? Or just wait until they "run into" each other. I would love to download this game, how may I?